The European Corps (Eurocorps) is an intergovernmental military corps of approximately 1,000 soldiers stationed in Strasbourg, Alsace, France. The corps had its headquarters established in May 1992, activated in October 1993 and declared operational in 1995. The nucleus of the force is the Franco-German Brigade established in 1987. The Treaty of Strasbourg, signed in 2004, gave the corps its formal legal basis when it entered into force on 26 February 2009. The European Corps is presently not established at the EU level (referred to as the Common Security and Defence Policy, CSDP); it is for instance not a project of the Permanent Structured Cooperation (PESCO) of the CSDP. The European Corps and its assets may however contribute in the implementation of the CSDP, when made available as a multinational force in accordance with article 42.3 of the Treaty on European Union (TEU). Five countries participate in the corps as member nations. The treaty allows for any EU member state to become a Eurocorps member state, subject to the approval of existing Eurocorps members. Additionally, four states are associated, and have thus pledged to contribute personnel to the staff. Poland was accepted as a member in 2010. This was expected to become effective from 1 January 2016, but was delayed to January 2017. However, a change in government with the 2015 Polish election led to the application for full membership being withdrawn in favour of remaining an associate member. On 25 February 2003, Austria and Finland signed a treaty which allowed them to send staff to the headquarters of the corps. Finland remained an associated nation of the corps until 2005, and Austria until 2011. Romania became an associated nation in April 2016. In addition, the Netherlands and United Kingdom have sent liaison officers to the headquarters of the corps. The European Corps is not subordinate to any other military organisation. It is deployed on the authority of the Common Committee representing the member nations, the Chief of Defense, and the Political Director of the Ministry of Foreign Affairs. This committee considers requests for support from multinational organizations such as the UN, NATO, OSCE or EU. The Corps can also be deployed at the request of the framework nations. Command Group, based in Quartier Aubert de Vincelles, consisting of the Commanding General, the Deputy Commanding General, the Chief of Staff, the Deputies Chief of Staff, the Air and Navy representatives, the legal advisers, a public affairs office, a medical adviser and a political adviser (only during engagement). Staff of approximately 350 providing support to the command group. The staff also includes officers from Poland, Greece, Italy, Turkey and Romania. Multi-national Command Support Brigade is co-located in Strasbourg (Quartier Aubert de Vincelles). This brigade is separate and subordinate to the Corps headquarters and provides additional support when the Corps is deployed. The brigade is formed from units provided by the nations on a case-by-case basis but has a permanent headquarters of 80 personnel. Headquarters Support Battalion (subordinated to the multi-national Command Support Brigade), based in Strasbourg (Quartier Lizé), providing protection, transport, food, etc. to the headquarters. This battalion consists of approximately 500 soldiers but can be significantly reinforced in case of commitments. German and French were the official languages at the corps until August 2002. English is now the working language. The "Cuartel General del Mando de Fuerzas Pesadas" (Heavy Forces Command) in Burgos where the 1st Mechanized Division is stationed. A reconnaissance company (180 soldiers) based in Diekirch, composed of two reconnaissance platoons, an anti-tank platoon and a logistics support element. This unit will probably be integrated into the Belgian contribution during operations. Except for the Franco-German Brigade and the staff of the Multinational Command Support Brigade (MNCS Bde) who are permanently under operational command of the headquarters, these national contributions remain under national command in peacetime. They can become fully subordinated only after Transfer of Authority has been decided by member states. The size and type of corps units required in operations depends on the nature and scope of assigned missions, likely deployment and the expected operational outcome. In the case that all earmarked national contributions are committed, the corps would theoretically comprise approximately 60,000. Led the ISAF6 Force in Afghanistan from 9 August 2004 to 11 February 2005. From 1 July 2006, to 10 January 2007, the headquarters of the corps was the land component stand by element of the NATO Response Force 7. From 1 July 2010 to 10 January 2011, the headquarters of the corps was the land component stand by element of the NATO Response Force 15 (NRF 15). In 2012, the corps has deployed to ISAF in Afghanistan. In the second semester the Eurocorps is supporting Germany with 57 soldiers in the EU mission EUTM Mali. ^ The corps is made avalilable to the Common Security and Defence Policy in accordance with TEU, Article 42.3. ^ a b "Eurocorps' official website / History". Retrieved 23 February 2008. ^ a b "Treaties and international agreements registered or filed and recorded with the Secretariat of the United Nations" (PDF). United Nations. 2009. Retrieved 23 May 2018. ^ Comp. Domröse, Hans-Lothar 2011: „Zwei Jahre Kommandierender General des Eurokorps. Eine persönliche Bilanz." In: Europäische Sicherheit Nr. 10/2011, p. 13–16. ^ "Eurocorps - A Military Tool for Europe and NATO" (PDF). Instituto Español de Estudios Estratégicos. 13 April 2016. Retrieved 14 April 2016. 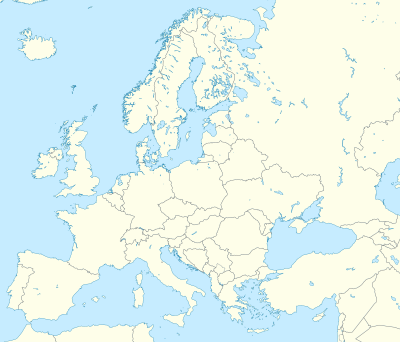 ^ "Poland to withdraw troops from Eurocorps force: official". Agence France-Presse. 28 March 2017. Retrieved 28 March 2017. ^ a b "Eurokorps begrüßt Österreich und Finnland". Austrian Armed Forces. 25 February 2003. Retrieved 25 February 2014. ^ "Aderarea României la Eurocorp". 6 April 2016. Retrieved 17 March 2018. ^ "Going International: Das Eurokorps - ein Schritt nach Europa". Austrian Armed Forces. 25 February 2003. Retrieved 25 February 2014. ^ "TRA20040219". Ministry of Europe and Foreign Affairs. Retrieved 23 May 2018. ^ "The Common Committee on Eurocorps' official website". Archived from the original on 5 February 2008. Retrieved 23 February 2008. ^ p. 894, Kleine, Maxim, Integrated Bi- and Multinational Military Units in Europe, in: Georg Nolte (Editor), European Military Law Systems, Walter de Gruyter, 2003. ^ Directive No. 2 pour le Général commandant le Corps européen from 14 November 1994: Langues au Corps européen. ^ "History of the Franco-German Brigade (in German)". Archived from the original on 12 December 2007. Retrieved 23 February 2008. ^ France-USA Archived 9 December 2007 at the Wayback Machine. ^ "International Security Assistance Force - ISAF VI on Eurocorps' official website". Archived from the original on 12 January 2008. Retrieved 23 February 2008. Wikimedia Commons has media related to Eurocorps. The European Gendarmerie Force is an operational, pre-organised, robust, and rapidly deployable, exclusively comprising elements of police forces with military status of the Parties, in order to perform all police tasks within the scope of crisis management operations. Art.1 of the Treaty establishing the European Gendarmerie Force. The NATO Response Force (NRF) is a high readiness force comprising land, air, sea and special forces units capable of being deployed quickly on operations wherever needed. 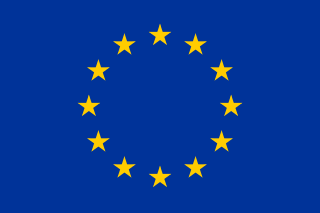 The Military Staff of the European Union (EUMS) is the directorate-general of the European Union's (EU) External Action Service (EEAS) that contributes to the EU's Common Security and Defence Policy (CSDP) by providing strategic advice to the High Representative (HR/VP) and commanding operations through its Military Planning and Conduct Capability (MPCC) operational headquarters. Presently the MPCC may only run non-executive operations. By the end of 2020 the MPCC will also be capable of running executive operations of up to 2500 troops, i.e. the size of one battle group. The Franco-German Brigade is a special military brigade of the Eurocorps, founded in 1989, jointly consisting of units from both the French Army and the German Army. The European Maritime Force is a non-standing, military force with the current participation of France, Italy, Portugal and Spain. The force may carry out naval, air and amphibious operations, with an activation time of 5 days after an order is received. General Hans-Lothar Domröse is a senior German Army officer, former Commander of Allied Joint Force Command Brunssum. The Combined Joint Expeditionary Force (CJEF) is a Franco-British military force. It draws upon both the British Armed Forces and the French Armed Forces to field a deployable force with land, air and maritime components together with command and control and supporting logistics. It is distinct from the similarly named UK Joint Expeditionary Force. The European Personnel Recovery Centre (EPRC) is an intergovernmental military organisation that contributes to the development and harmonisation of policies and standards related to personnel recovery. The ERPC also provides support for education, training, exercises and operations. The EPRC was established on 8 July 2015 and is based at Poggio Renatico Air Base in Italy.